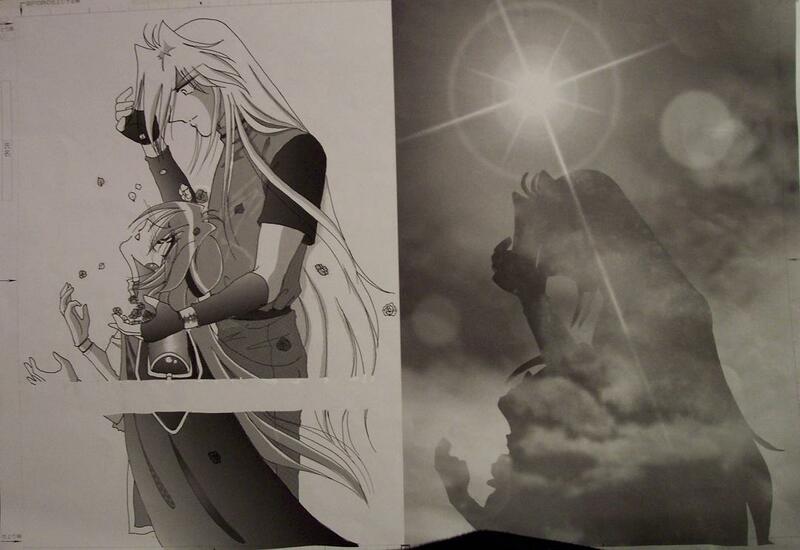 Added 10/27/2005 Here is an AWESOME shikishi artwork of Lina and Gourry that I fell in love with and couldn't pass up! It has two layers and two parts to it. It was made by the artist; Hidero Ayanokouji "kowareta okusan"